The COAG Reform Council has released its first assessment report under the Coal Seam Gas and Large Coal Mining Development National Partnership Agreement with disagreement between the Commonwealth and NSW the major hurdle. The National Partnership Agreement report looks at whether participating governments have completed their actions under the agreement which reviews CSG and large coal mining developments and potential impact on water resources. Of the four states in the agreement – NSW, Victoria, Queensland and South Australia – only NSW has not completed its milestone to publicly release a protocol for referring projects to the new Independent Expert Scientific Committee (IESC). The NSW and Commonwealth Governments have not agreed on NSW’s draft protocol. The report said it remained unclear how NSW would decide which projects to refer to the IESC for advice outside of land it has identified as Strategic Agricultural Land. This delay may defer the provision of NSW project applications to the IESC for advice until the protocol is published and will also affect the period to which the benchmark to refer all project applications to the IESC. Queensland remains on track having signed the National Partnership on February 14, 2012 (under the Bligh Government) thanks to a one-off $18 million payment from the Federal Government. Despite complaints from the Newman Government about duplication of regulatory bodies, the new government endorsed the protocol for project referral on October 1, 2012. The protocol requires Queensland government officers to refer a proposal if it is deemed a ‘project application’ (that is, it requires an Environmental Impact Statement) and it is ‘likely’ to have a ‘significant impact on water resources’. However as of October 2012 Queensland has not referred any projects to the IESC, though the Commonwealth has referred several Queensland projects. The aim of the IESC is to give governments solid scientific advice on the potential effects of CSG and large coal mining developments on water resources. On November 27 last year, federal environment and water minister Tony Burke announced its creation as a statutory body under amendments to the Environment Protection and Biodiversity Conservation Act 1999. The six-person committee’s role is advisory and has no responsibility for issuing approvals for projects or recommending whether a project should be approved. Tony Burke said the Committee was created to provide advice on coal seam gas proposals and large coal mining developments. “The work of this committee will give communities reason to be confident that future decisions about coal seam gas and large coal mining development are informed by the best possible science,” Burke said. Releasing its first report this month, COAG Reform Council chair former Victorian premier John Brumby said CSG mining was a contentious issue. “Coal seam gas mining has an important role to play in Australia’s future energy security and economic development,” Brumby said. “This agreement aims to improve the community’s confidence in decisions on coal seam gas and large coal mining development by informing those decisions with substantially improved science and independent expert advice.” Brumby said in five years to 2010-11, CSG production increased from 2% to 11% of Australia’s total gas production. 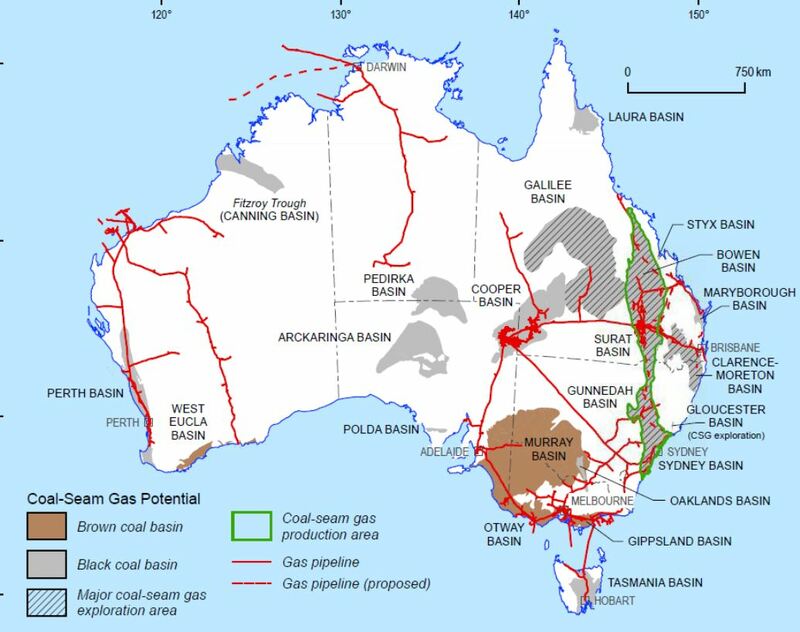 “Coal seam gas is an important source of natural gas that has the potential to strengthen Australia’s long-term energy security and to further expand energy exports to meet growing global demand for energy,” he said. The report found Australia’s CSG profitably extractable reserves have been increasing in recent years to 35,000 petajoules (PJ). Estimates suggest a further 65,000 PJ could become economically viable in the future and there are even larger estimates of inferred (122,000 PJ) and potential (259,000 PJ) CSG resources. The report said the community was concerned about potential environmental impacts of new developments including the volume of water produced as a by-product and possible contamination of aquifers. 3 ensuring the best scientific information and expertise underpins all relevant regulatory processes and decisions. The Surat Basin is one priority area identified for bioregional assessment. The report says the bioregional assessments would analyse the ecology, hydrology and geology to assess the potential risks to water resources as a result of the impacts of coal seam gas or large coal mining developments. “These assessments will provide advice to governments about the water related resources and risks on a region-wide, rather than project specific basis,” the report said. The National Partnership program will provide $50m over three financial years with 50% to the states and 25% each to according to the relative distribution of coal production and CSG projects.